Does the Rebbe’s decree against drinking more than a Revius of Mashkeh apply likewise on Purim? Does this Mitzvah apply to women? 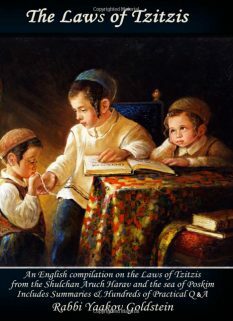 Does this Mitzvah apply to children who reached the age of Chinuch? Must one drink if doing so is detrimental to his health? Must one get drunk on wine, or are other alcoholic beverages also valid? One fulfills his obligation with any form of alcohol. Nevertheless it is best to get drunk on wine, as the main miracles of Purim took place through wine, and so is mentioned in a number of Rishonim. Some write one is to drink white wine, as white wine gives joy. When on Purim is one to fulfill the Mitzvah of “Lebesumei”? The Mitzvah is to be fulfilled during the day, by the Purim meal. 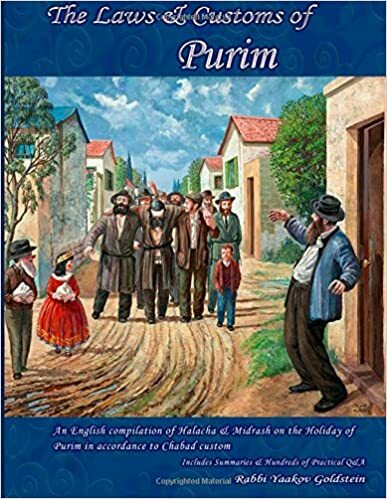 Nevertheless this Mitzvah applies throughout the 24 hours of Purim, and when it is fulfilled during this time it is considered as if one fulfilled it throughout Purim. Purim night: Some sources imply that one is to fulfill the Mitzvah of “Lebesumei” also by the night of Purim. Must one get drunk prior to sunset on Purim? Seemingly one is to reach this state prior to sunset, as is the time frame of fulfillment for all of the Mitzvos on Purim. 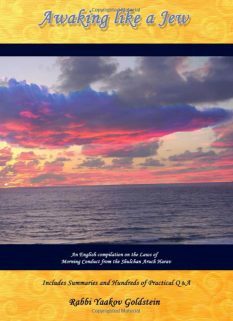 However according to those Poskim that allow eating the main part of the meal past sunset, seemingly they would hold that this Mitzvah can likewise be fulfilled after sunset. 1. 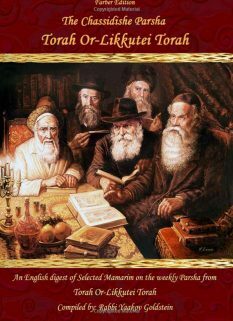 Some explain one is to literally drink to the point that he confuses between Baruch Mordechai and Arur Haman.” Likewise, based on Kabala one is to drink to the point that he actually says Baruch Haman instead of Arur Haman. Othersthe statement is literal, it is fulfilled through drinkinga dn then falling asleep. explain that while the statement is literal, it is fulfilled through drinkinga dn then falling asleep. 2. Some have a tradition that one is meant to get drunk close to the point of not knowing the difference between “Arur Haman” and “Baruch Mordechai”, but not actually until this point. 4. Some explain it means one is to drink to the point that he cannot calculate the numerical value of the two statements. As Baruch Mordechai and Arur Haman are the same numerical value of 502, and thus when one can no longer calculate this matter he has fulfilled his obligation of drinking. 5. Some explain one is to drink to the point that one cannot differ which kindness from G-d is greater; the fact that he blessed Mordechai or the fact he killed Haman. 6. Some explain this means that one is to drink to the point that he forgets the order of “Baruch Mordechai and Arur Haman”. Meaning he forgets which statement precedes. 7. Some explain that in the times of the Sages of the Gemara there was a custom to have a chorus with the words Baruch Mordechai and Arur Haman, each person having their part in the chorus. Thus one was required to drink to the point that he forgot his part in the chorus. Possibly the Mitzvah of “Lebesumei” is a constant Mitzvah that can be fulfilled throughout the 24 hours of Purim. Now although one is certainly required to be sober for large portions of the day in order to fulfill the Mitzvos with “knowledge”, nevertheless when one fulfills his obligation one time on Purim it is as if he is fulfilling his obligation throughout the 24 hours. This is similar to the Mitzvah of Daled Minim on Sukkos in which according to some opinions one fulfills the Mitzvah throughout the entire day when he does the Mitzvah once. One is to drink to the point that he actually says Baruch Haman instead of Arur Haman. This is because there is a spark of Kedusha which enlivens all Kelipa, and when one reaches a state of above intellect, Ad Delo Yada, he is able to bless the evil in a way that it will become engulfed with Kedusha. The holy spark within it then becomes refined. If however one blesses Haman before he becomes drunk then he gives the Kelipos even more life. Just as in the times of the Purim miracle we served Hashem in a manner that surpasses intellect and reason, with utter Mesirus Nefesh, similarly on Purim we drink wine and fall asleep thus leaving our state of reason. The state or revealing our Yechida, of being above and beyond our limitations of reason in our Avodas Hashem, reoccurs every year on Purim, and is reached through the drinking of wine which takes us out of our limitations. Each year we re-experience the completion of the acceptance of the Torah on Purim through going above and beyond our intellectual limitations. Wording in Michaber ibid; Tur ibid; Megillah ibid; The Gra is quoted to say one is obligated to fulfill this command up to the point that he is near death. 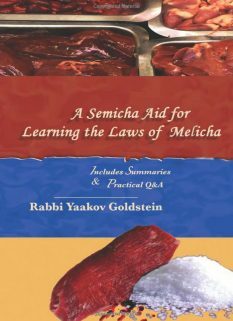 This can be learned from the story brought in the Gemara Megillah 7b, directly after mentioning the obligation of drinking wine that Rava drank to the point that he slaughtered Rebbe Zeira by his Purim feast and later revived him after the meal. The Yaavetz [in his Siddur] testifies that his father the Chacham Tzevi would fulfill this Mitzvah in the literal sense. Chayeh Adam 155:30 brought in Biur Halacha “Ad Deo Yada”; Shaareiy Teshuvah 695:2 in name of Amudei Shamayim that the Chacham Tzevi would not drink in his later years to the point of being drunk due to it damaging his health, and the same applies if one feels it will damage him spiritually. Hisvadyus 1989 2:454: “Those that fulfill this Mitzvah without compromise, without looking for Heterim, are greatly praised and their merit is great. May many people see and follow this example.” See Toras Menachem 11 p. 146 brought in previous footnotes. See also Otzer Minhagei Chabad 211 for various instances that the Rebbe was particular that people fulfill the Mitzvah in its literal sense. This decree was instated on Shabbos Mevarchim Iyar 1923 as a result of a certain negative occurrence. The decree was applied to even wine and even towards the wine of Kiddush [to only drink a majority of the cup]. The Rebbe spoke numerous times about the decree and how it must be upheld. At times the Rebbe spoke very harshly against those that don’t abide by the decree. The decree is recorded in the following Sichas: Shemini 1963; Balak 1964; Shmini 1964; Yud Beis Tamuz 1965; Noach 1927; Naso 1968; Shavuos 1968; Dvarim 1980; 13th Nissan 1982; Ki Sisa 1984; Balak 1984; Mikeitz 1985; 12th Teves 1987; Vayakhel 1988; Ki Seitzei 1988; Hisvadyos 1991 Vol. 4 p. 298. 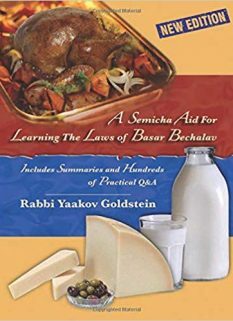 See Toras Shalom of the Rebbe Rashab that Mashkeh is not meant for all people, and those which are not a proper receptacle for it are forbidden in taking it, as is the law that an ignoramus may not eat meat.